This outdoor projects post is sponsored by Home Depot but all opinions are my own. Spring is officially here and while it still may be a bit chilly outside, I have begun mentally planning my outdoor projects for the season. My family spends a lot of time outside between playing, gardening, and just hanging out by the fire pit. I love having our backyard space as a place that is both functional and attractive. Over the past few years, the exterior of the house and the yard have gotten a bit neglected. A lot of our time, effort and money has gone towards maintenance of the house. While this is important, new windows aren’t exactly exciting! Neither is the new hot water heater or copper pipes, which are also upgrades we have done to our house since we moved in. Well, this year I am determined to tackle a few of the outdoor projects that have been pushed aside. I have been given the chance to work with The Home Depot on some of the outdoor projects that I have planned and I am excited to share those with you over the coming months. I am a huge fan of The Home Depot and honestly I could spend hours wandering around there planning exciting renovations to my house and yard. Since my husband usually gets roped into helping out with all of the outdoor projects we plan, he is happy that I try to keep my to do list under control! As an avid gardener, many of the outdoor projects that I would like to tackle involve my gardens. The beds are starting to need an awful lot of attention. Shifting stones, rotting wood, and new plant supports are all issues that are waiting to be addressed. Garden maintenance is a never ending project! I would also like to improve the curb appeal of my home by adding flowers, both annuals and perennials. We have tackled some larger outdoor projects in the past, including building a water feature and adding paving stones. The transformation to my yard was really impressive. I would love to tackle more of these large scale outdoor projects because they can really increase the value of your home. Even simple things like cleaning up our patio furniture are on my list of outdoor projects. Our furniture is old and in serious need of replacement but cleaning it up every spring really improves the look of our patio. While I would love to toss it all and buy something new, I am trying to hold on to it as long as I can. Go Green with Outdoor Projects Like Herb Gardening! While outdoor projects can be a lot of work, I am lucky to have two children who are always looking for ways to earn money by helping out with extra jobs around the house. Getting my kids involved in cleaning, building and gardening means less work for me and a great life lesson for them. If they want clean chairs to sit on and tasty garden cucumbers to eat, they will appreciate those things a lot more if they had a hand in creating them. 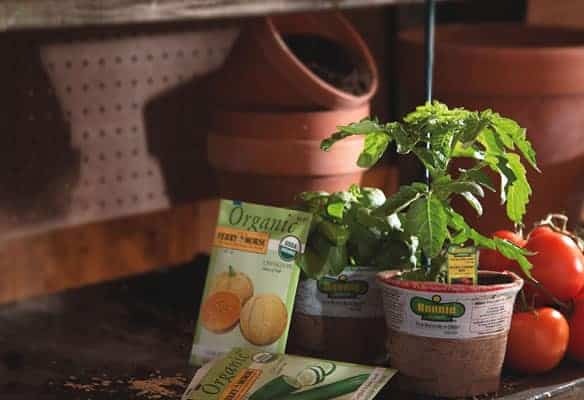 Another great resource for outdoor projects is The Home Depot Garden Club. The website is full of ideas for outdoor projects and hints on how to tackle them. Their edible gardening section is especially impressive, offering information on how to attract bees to your garden (very important! ), tips for raised bed gardening, urban gardening and tons of other ideas. Growing your own food is a great way to reduce your carbon footprint AND save money! I love being able to walk outside and pick a tomato and some fresh basil for lunch in the summer. Herb gardening is especially fun because fresh herbs taste SOOO much better in your recipes than the dried things you have on your shelf! And many herbs are both perennial and very attractive to include in your landscaping. 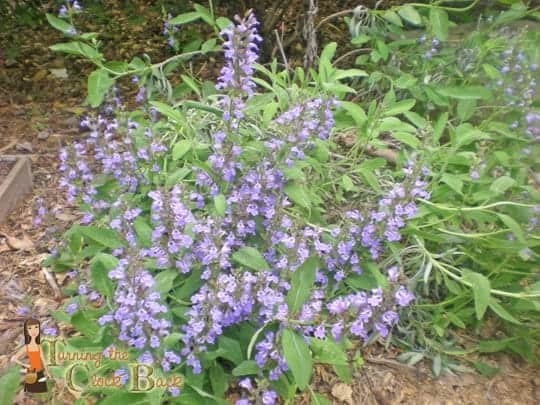 The picture above is my sage in full bloom last year. The bees really love it! If you would like to join the world’s largest garden community, you can get over $300 in email exclusive savings every year, sneak peeks on new products that they offer and monthly lawn & garden ideas for your specific region. They also offer access to several very knowledgeable gardening experts, which is really helpful when you encounter a problem you just don’t know how to fix. I really cannot wait until spring really arrives here in Vermont! I am anxious for the snow to thaw here in Alaska so we can get a garden started. After several months of white covering the ground, I'm anxious to see some color. We love the garden club! And the emails Home Depot sends out have so much helpful info. I cannot wait for spring and gardening. Last year, we had cucumber and carrots!! The kids loved it and me too! I love going to The Home Depot this time of year! One thing I do love about the south is the longer growing season although we have some really HUGE bugs down here!